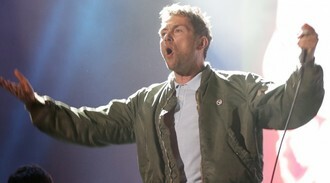 Damon Albarn has revealed he plans to begin work on the fifth Gorillaz album this year. The Blur frontman is also a member of the virtual band with animator Jamie Hewlett, and they released their last LP The Fall in 2010. Damon told Australian television programme ABC 7.30: “I’m starting recording in September for a new Gorillaz record. Naughty Boy thought Zayn Malik was hacked when he sent him an angry tweet. Miley Cyrus will host the 2015 MTV Video Music Awards. The former AC/DC drummer Phil Rudd has been rearrested in New Zealand just 10 days after being sentenced for charges of drug possession and threatening to kill. Noel Gallagher has admitted that forming Oasis with his “irritant" singer brother Liam led to the Britpop band’s downfall. Festival goers at Latitude were treated to a surprise performance from Ed Sheeran last night, who performed a secret gig on the intimate iArena stage. Simon Cowell has reportedly revealed how he advised Louis Tomlinson to enjoy impending fatherhood. Neil Young has followed in Taylor Swift’s footsteps and pulled his music from streaming services. Finlay Quaye was booed and kicked off stage after failing to turn up for a sound check and arriving on stage an hour late. Sam Smith has swapped the mike for the cameras as he unveiled his new collaboration with Spanish fashion house Balenciaga.